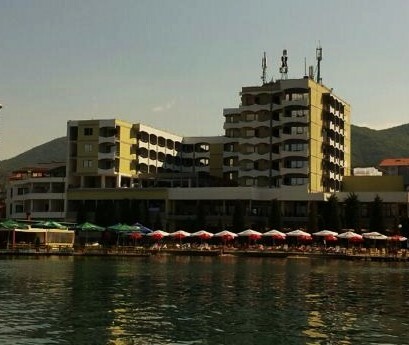 Hotel Enkelana is located in the center of Pogradec City. One of the unique aspects of our hotel is our location. Accommodation in one of our rooms and suites is another unique experience. All of the rooms offer a magnificent view over Lake Ohrid. Our newly-renovated rooms and suites feature modern decor, cable TV, mini-refrigerator, air conditioning, and a private balcony with a lake view. Stay connected with free Wi-Fi. The hotel is a well-equipped and adaptable venue for conferences, banquets and meetings, welcoming large capacities of guests. The Bar Restaurant serves traditional Albanian, as well as international specialties. Breakfast is served on the same Restaurant, whose veranda gives to our guests the unique chance to enjoy it. Extra person charges may apply. Rollaways and cribs may be available and should be requested at the time of booking; fees may apply. Photo identification is required upon check-in. All special requests are subject to availability upon check-in.Check - in time is 15:00 Check-out time is 11:00. Pets allowed. Air-conditioning, Mini-refrigerator, Telephone, Cable Tv, Hair-drier, Balcony. Air-conditioning, Mini-refrigerator, Telephone, Cable Tv, Hair-drier, Sitting room, Balcony. Air-conditioning, Mini-refrigerator, Telephone, Cable Tv, Hair-drier Balcony. Air-conditioning, Mini-refrigerator, Telephone, Cable Tv, Hair-drier, Sitting room, Lake view, Balcony.